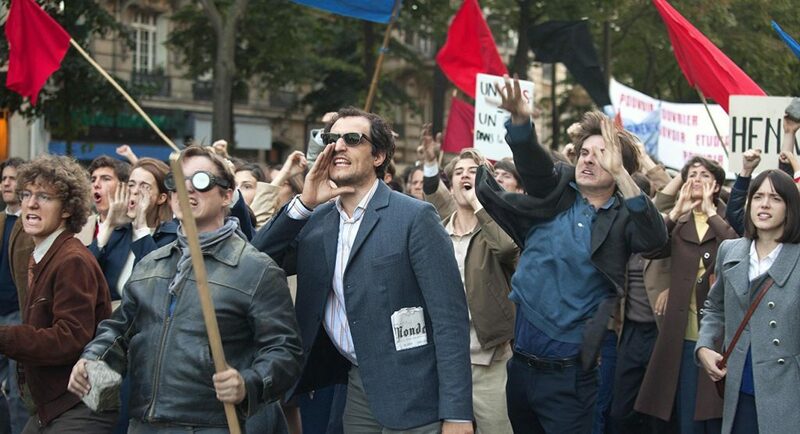 As 1967 and 1968 unfold, ‘les evenements’ bring a general strike and riots to the streets of Paris, while revolution is debated at the Sorbonne. Newly-wed film director Jean-Luc Godard supports the students and workers – which means renouncing his previously feted movies, and embracing radical new ways of film making. Somewhere along the way, his good humour turns to dogmatic sourness, and domestic tensions rise – but Hazanavicius (The Artist) and his sparkling cast make this tragicomedy a spritely summer pleasure throughout! Plus a BRIT School Showcase film, screened in partnership with the School’s Film & Media Production department. For this film we are showing Tom Horton (U) (4.15 min), directed by Lucas Aliaga-Hurt & Victoria Man. A portrait of a marine biologist based in Penzance. Show starts at 2.30 pm, ticket prices £8.50 & £7.00 (concessions).